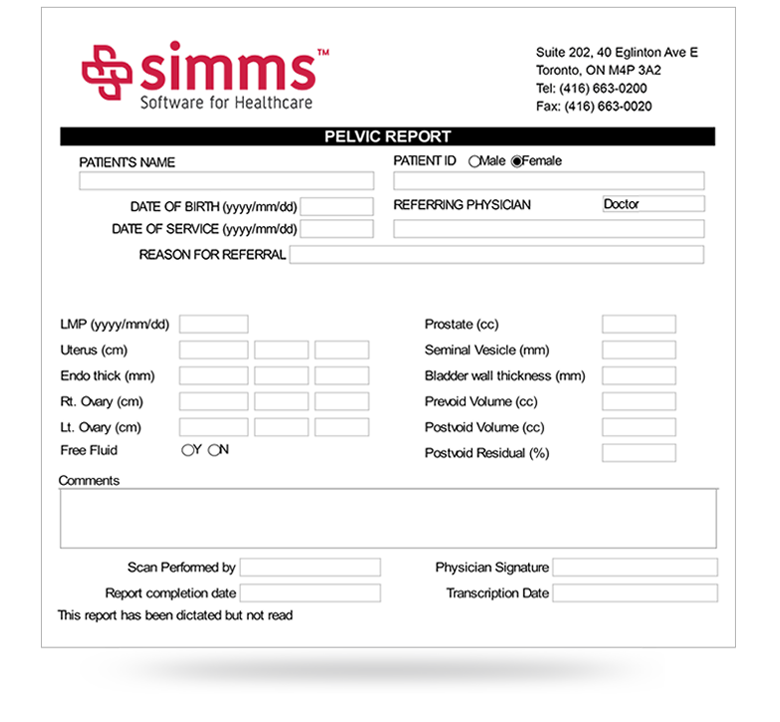 SIMMS Enterprise supports the use of the Nuance product called Dragon Medical Practice Edition 2. 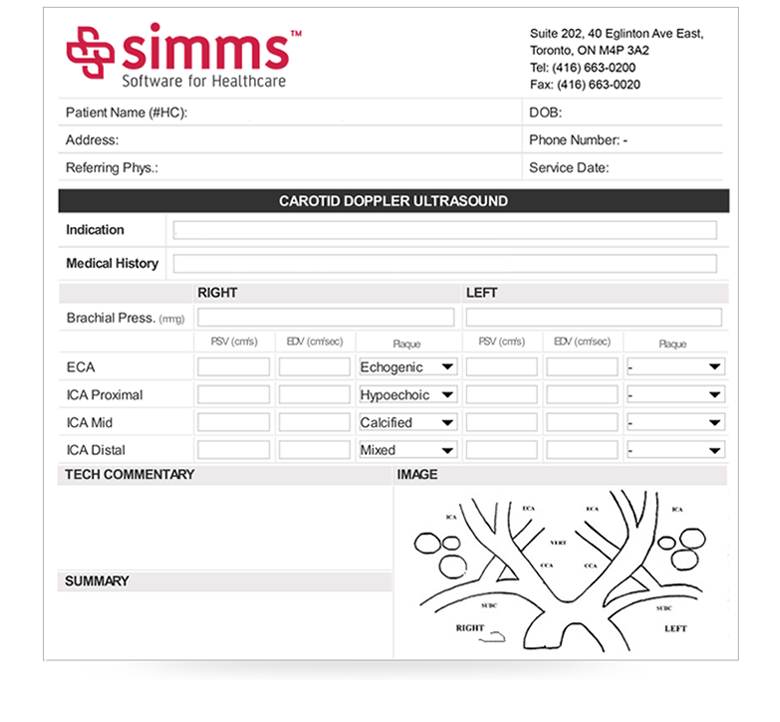 With recent advances in the software, entire dictations can now be created and dropped into a specially-made SIMMS template, ready to be reviewed and approved. 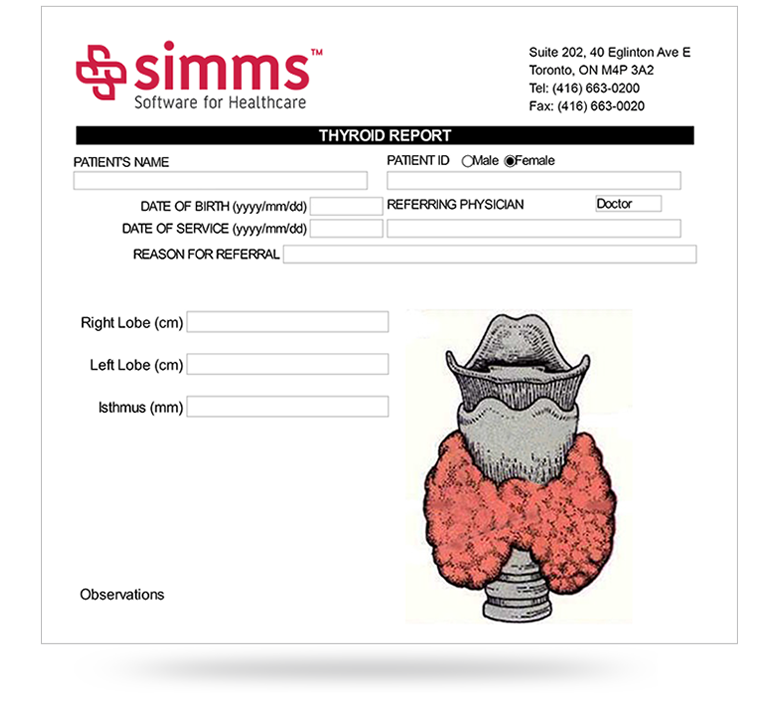 For the past decade, healthcare professionals have depended on SIMMS to find ways to save them time, and enhance their ability to provide fast and accurate reports. The latest collection of SIMMS structured reports and templates make it easier than ever to provide and deliver detailed findings quickly. To date, over 100 templates have been created, and they are being used by dozens of Radiology, Cardiology, Fertility and Vascular clinics for numerous types of examinations. SIMMS’ flexibility and adaptability help make template design quick and effective. Our in-house professionals will work with you to make sure means that templates can be are best suited to your workflow and requirements.